If you are a fan of DIY projects, chances are you care about how you spend your money. After all, just about anything you can make with your hands, a glue gun, and some creativity could be purchased online if you were willing to fork over enough dough. That’s not you, though. You want the satisfaction of having made it yourself, plus that bonus incentive of making it for a fraction of the cost. But where is that perfect intersection between thrift and fashion, that just-right balance between affordability and sensibility that will keep your projects cheap but your style priceless? These inspiring DIY dollar store crafts achieve that exact balance, bringing out the very best of what DIY projects have to offer. They take inexpensive materials and with some ingenuity and vision create stellar décor items that will enhance any home. Your guests won’t ever guess that these pieces originated from a value store; they will simply admire what fine taste you have, and what sophisticated style. These projects will make you want to take a break from the craft store and check out the thrift shop instead. DIY ideas are a dime a dozen, but these ones are worth their weight at just a buck a pop. 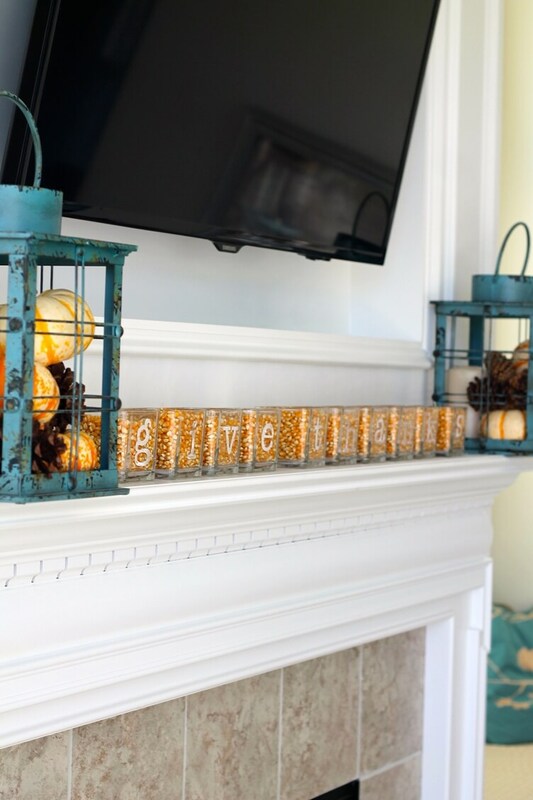 Having single-letter personalized votive jars can be a great addition to the mantel. To make your own, you will simply need to pick up some local dollar store staples and get creative! By making them at home you have the freedom to personalize what they say, make them double-sided, and get creative with colors and design. These bins provide the galvanized look of a school locker with the ease and price of simple plastic bins. 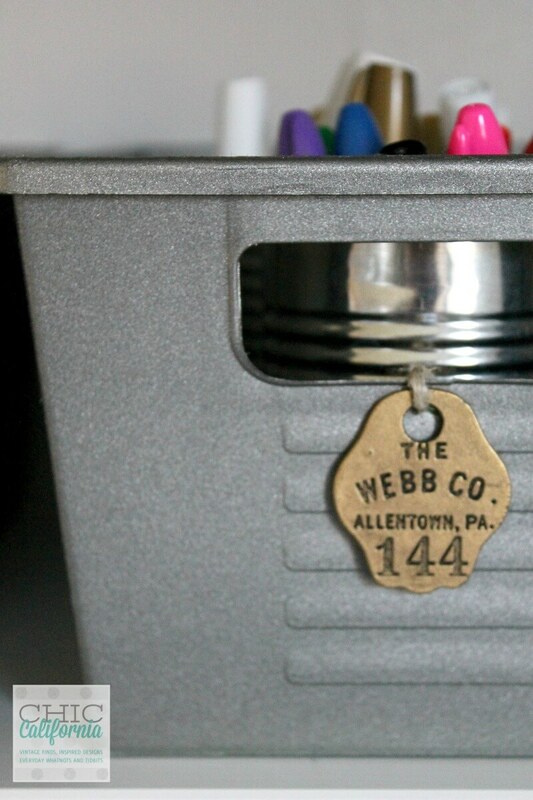 With just a little spray paint, a simple storage bin of any color is transformed into a piece that will add a vintage chic look to your storage shelf. 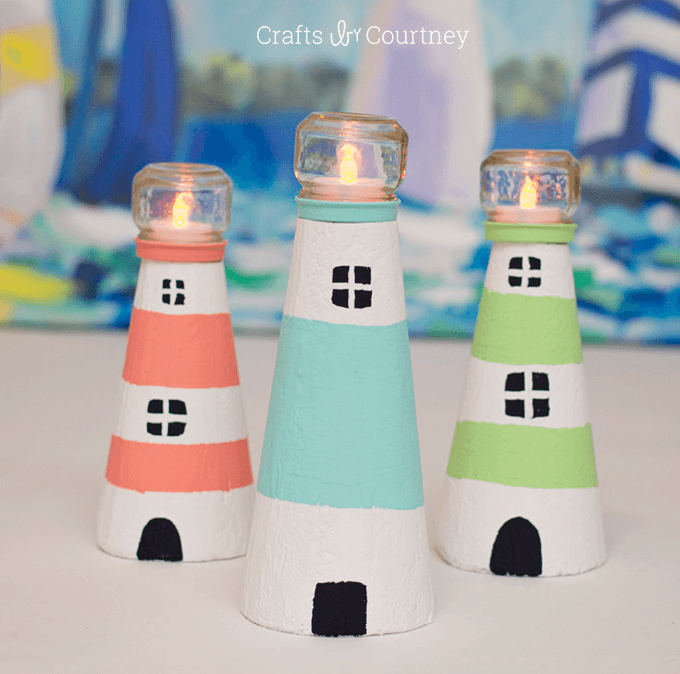 These fun and simple lighthouses are great DIY dollar store crafts that the whole family can enjoy. 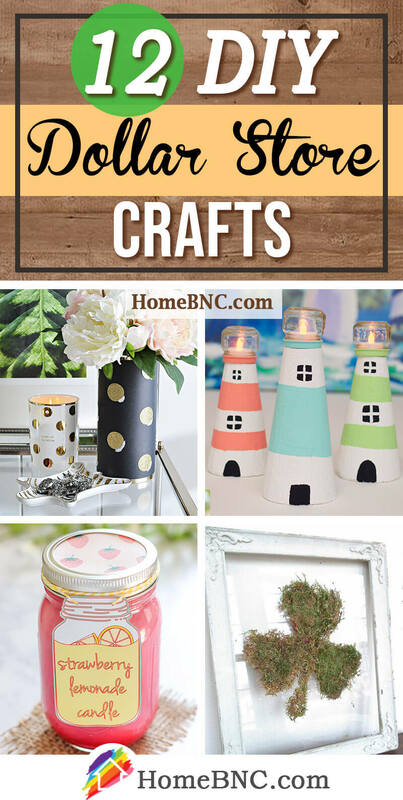 Not requiring any hot glue, you can have every family member create a lighthouse and then set them out together as a centerpiece or an accent on an end table. The personalization of these lighthouses is endless, and they will fit right in with any nautical décor. This fun and funky DIY craft has a big impact for a small amount of time and money. Simply pick your favorite animal, be it cow or dinosaur, cat or donkey, and the thing that really brings it all together: gold spray paint. 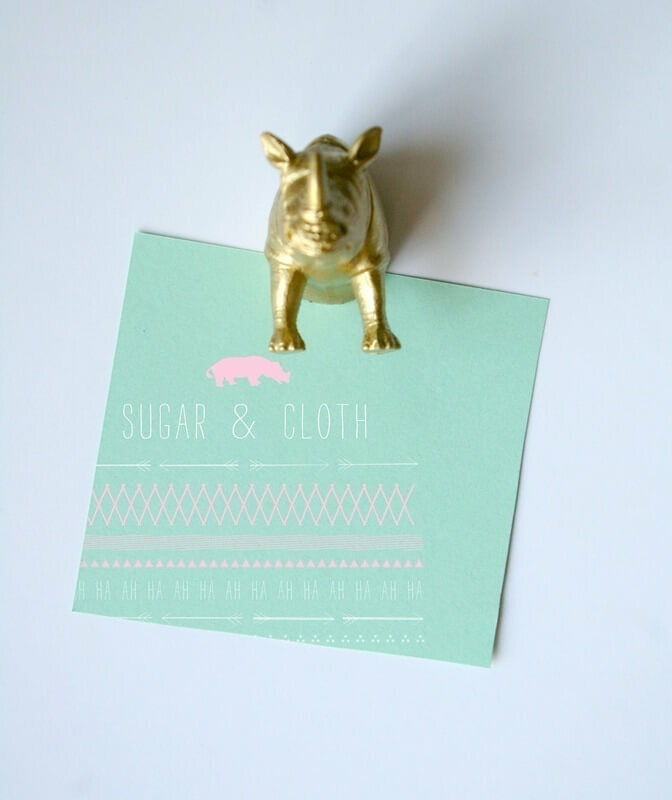 These playful magnets are great for the fridge at home or a cabinet at the office. Who doesn’t have an old frame lying around? 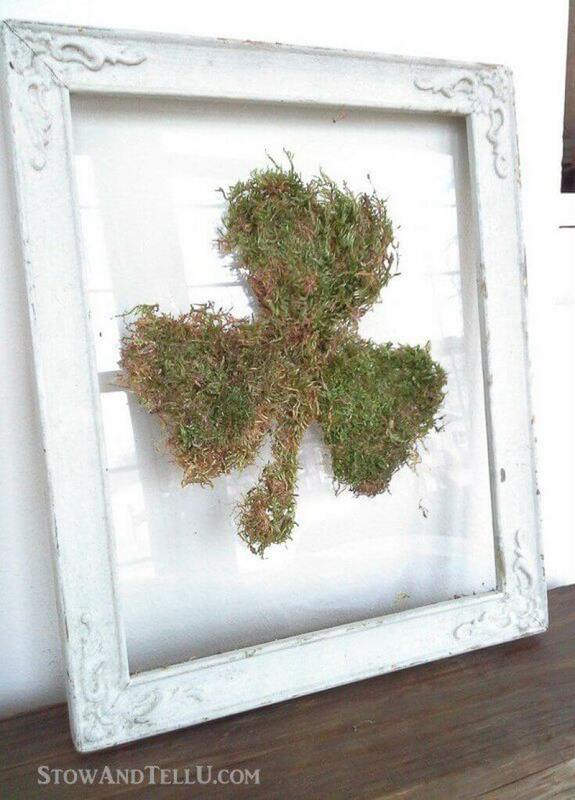 Put it to good use and create this nature- inspired shamrock wall art that will make for a fun and creative conversation piece. Bringing nature into the home can be a risk, but this project keeps everything held together perfectly and looking good all year long. 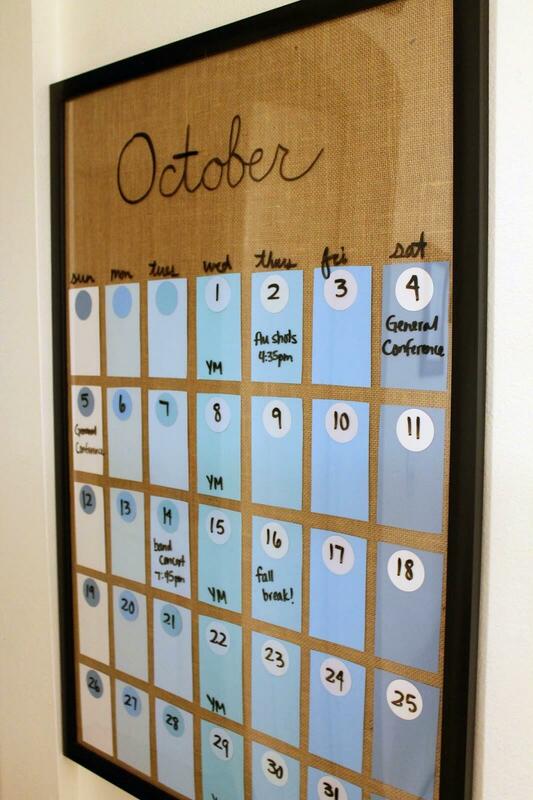 This DIY calendar is a great project for anyone who loves the magic of the paint section at the hardware store. 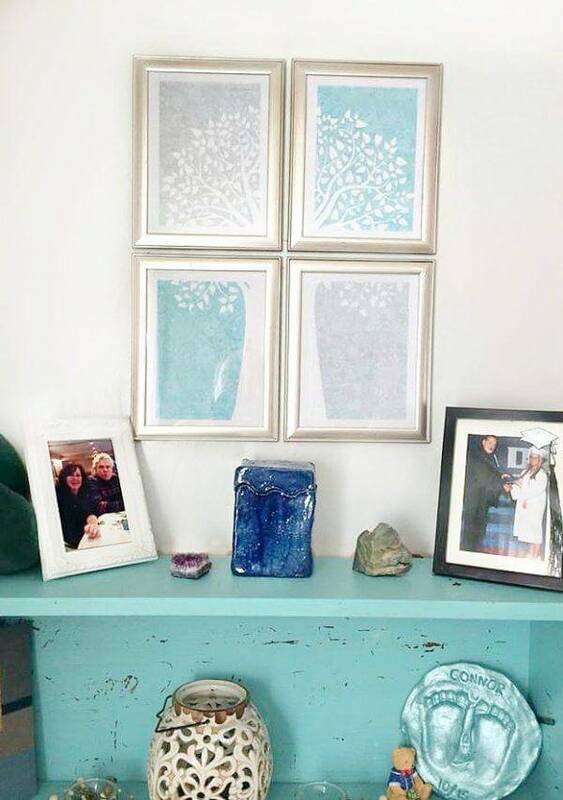 It is hard to resist picking up all those beautiful paint chips, and now you have a great use for them! Since you can pick any color you like, you can set your calendar up to match your interior décor, or go wild and do a rainbow-inspired calendar for the kids. 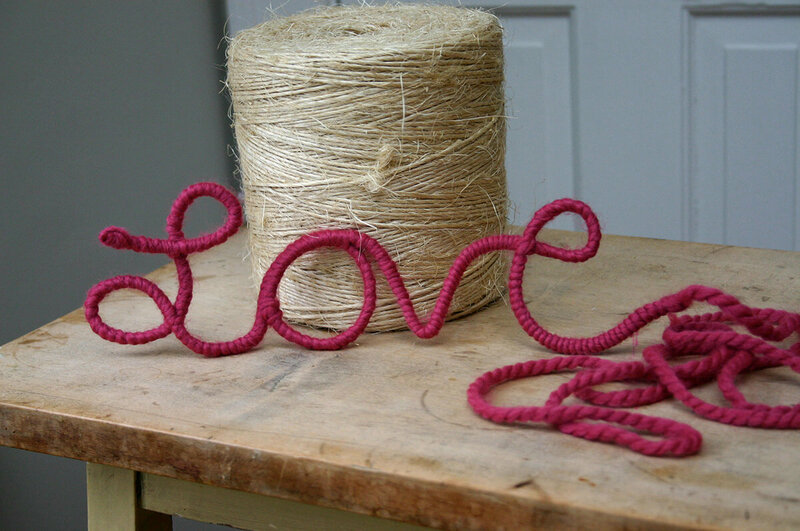 A perfect expression of how DIYers feel about their crafts, this simple and cute yarn art will add a pop of hominess and color to your home. This craft especially lends itself to customization, so feel free to mix up the lettering, color, and size to express whatever best suits your space. If you are looking to add a subtle pop of vintage to your current home décor, then these coasters are a great project. 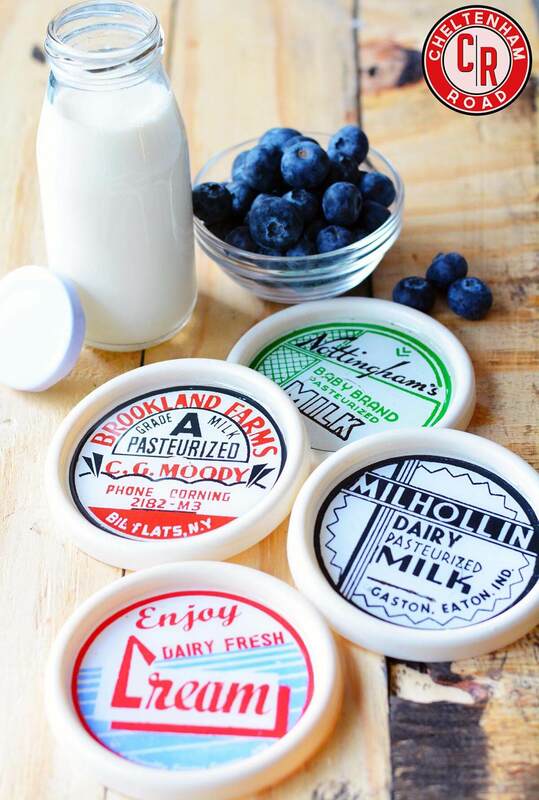 Simple as can be, you can take any round labels or stickers, attach them to your coaster base, and voila! You have a chic and personalized new coaster set ready to go. Creating a larger piece of wall art on your own can be daunting. However, this quick, easy, and lovely at-home piece will surely have all your guests begging to know where you found it. The soft, gentle colors of the image and frame add a cool dreaminess to this piece. 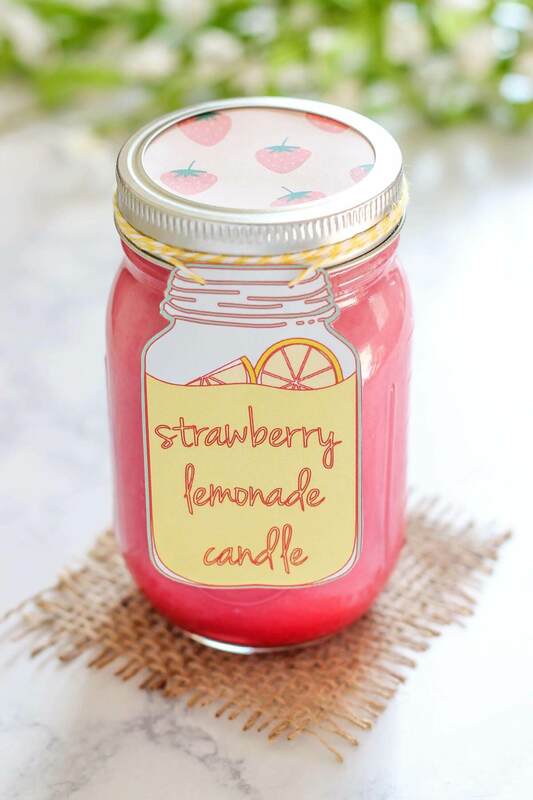 Keep summer burning all year long with this deliciously scented strawberry lemonade candle. Besides adding sweet summer scents to your home, this candle gives a pop of color and adds a bright cheeriness even before it’s lit. This candle works great in the kitchen or can make a fabulous homemade gift. 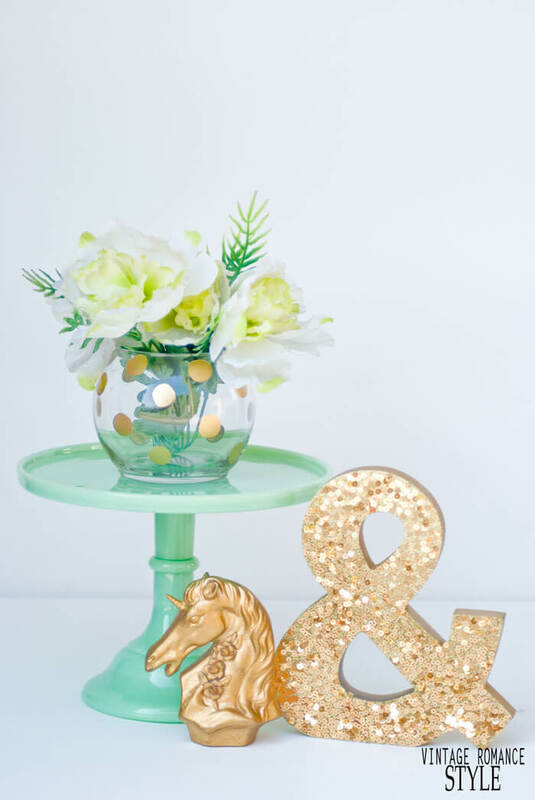 Some DIY dollar store crafts aim for cutesy, others for shabby-chic. This one is all about the lux. Though the primary black color comes from a humble sheet of cardstock, the effect is tremendous, adding a bold pop to the tabletop. Gold accents courtesy of some polyester tape and glue dots make this an especially expensive-looking item that (shh!) only costs a few dollars to make. This light and simple vase is a perfect addition to any spring or summer décor. 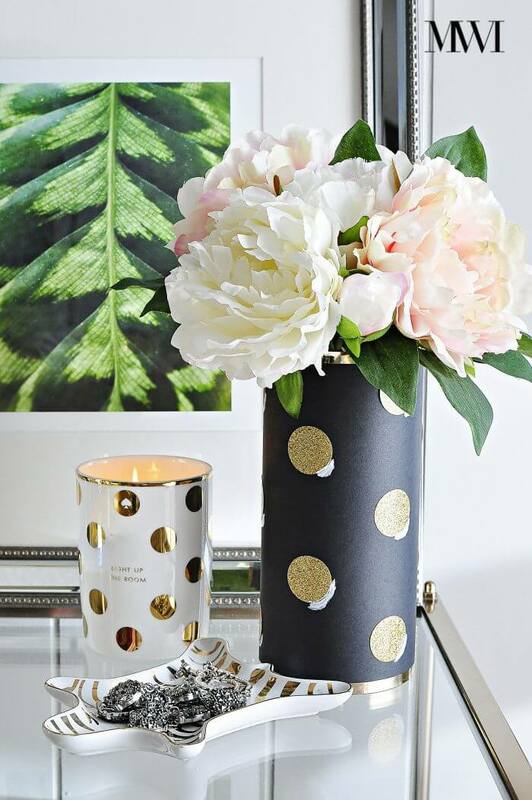 You can often find these adorable rose bowl vases at the dollar store, and applying a little gold paint takes it to the next level of cute. The clear glass shows off your flowers’ natural beauty, while the DIY touch will put your tasteful handiwork on display.